I don’t know if this is a by-product of now being happy-pill free, hormones, or a normal phase, I’m not sure. But I find myself questioning whether blogging is for me. I love my blog, I love building my brand and I love (virtually) meeting new people. I have plenty of ideas; I’m keeping it real and being honest and true to myself. But I just don’t know if it’s for me. Does anyone want to read what I write? Am I any good at writing? This isn’t intended as a pity party or a dig for sympathy, just being me and keeping it real, as I do. I’m joining in lots of linkys and I love reading other blogs, commenting on them, sharing them on my own social media, and playing the game. After all, to get more people to read what you write and to build a brand you have to graft, nothing in life comes for free. I’m all for hard graft; I’m putting some serious hours in around being a mum, a wife and working two long days a week. But I’m losing faith in lots of linkys because I’m simply getting nothing in return. No comments, no shares, and lots of people seem to just link and run. I guess I’m at a little crossroads where my blog has the potential to grow, and I can achieve my dream of writing for a living – I’ve always wanted to right short stories and books and could this potential lead on to that? Or should I just knock it on the head and acknowledge that a dream is a dream and that’s that? 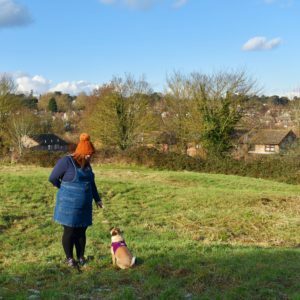 My blog is an honest story of three parts of me – motherhood, mental health struggles and cooking/weight loss; what direction do I want to take? I’m really feeling this too. I could have written the exact same article. Would be a dream to write and earn a living from it but how do you know if you’re good enough? I’ve only been blogging for about 10 weeks but I’ve already put in a lot of hours. I guess I need to give it longer.